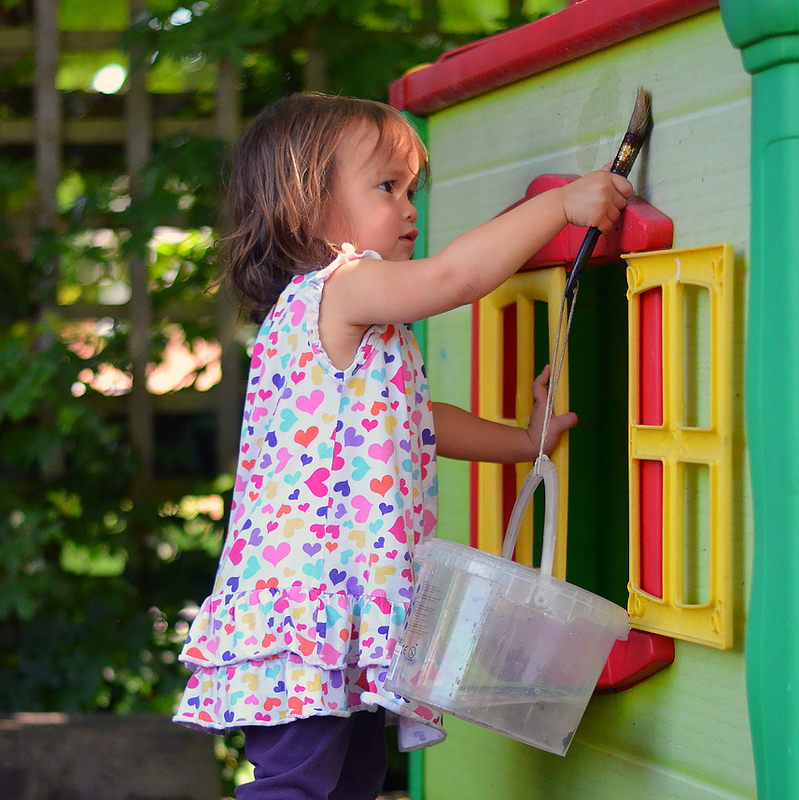 These activities are always available and the children are able to choose their own medium – paint, crayons, etc. There is no right or wrong way of painting and drawing; the children are encouraged to express themselves freely and at first may simply wish to cover the paper with colour. Children find these facinating and need not get in a mess in the process, as plastic aprons are provided. Their play allows the children to learn about the properties of liquids and solids. Books for all ages and levels of ability are available at all times for the children to handle and for adults to read to them. Cutting and gluing activities are messy, but they give the children the opportunity to experiment, to learn manipulation skills and discover shapes. In our garden we have lots of space for the children to enjoy. We use different equipment for them to develop physically. 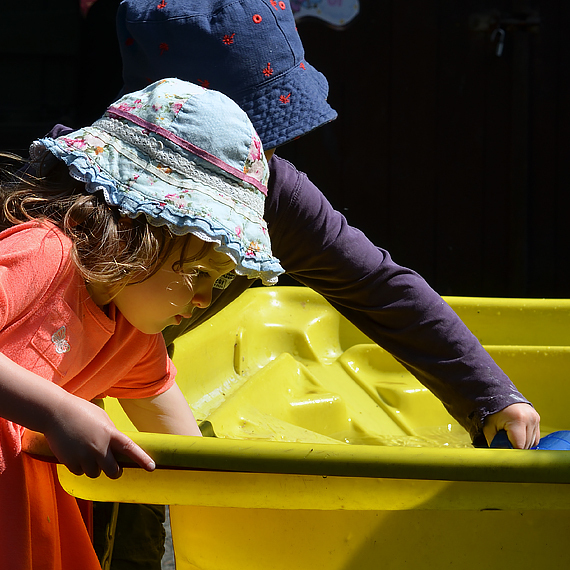 We are currently developing our mud kitchen and a sensory area. There is a sand pit, play house and a variety of bikes and scooters. Various props, farms, garages, dolls furniture and dressing up clothes give the children the opportunity to act out imaginary situations based on real life. We have construction toys that can be used inside and outside. These include duplo, trains, vehicles and tools, all of which help develop manipulation skills and basic mathematical concepts about space, shape and size.